One of early tours to the Taisetsu Mts, Aizankei Onsen, Circa 1985. Telemark Ski Descent Mt Fuji. John Morrell telemarking down Mt Fuji, Circa May 1989. 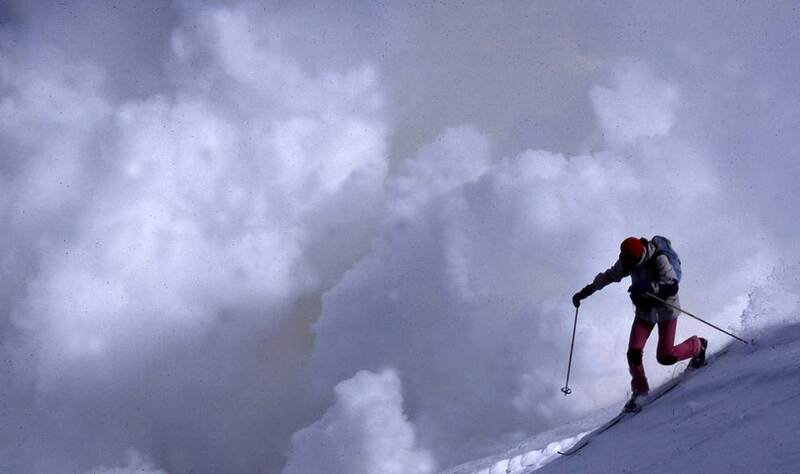 Paul "Stretch" Daniel telemarking near the active mouth of the Tokachi Volcano, Circa March 1987. Paul "Stretch" Daniel climbing the stunning north ridge, Furano Dake, Tokachi Mountains, Circa March 1987. This page is regularly updated so please check in closer to the 2019-2020 season. Tim is one of the world's great mountaineers, with two successful climbs of Mt. Everest amongst other achievements. Tim has skied the world and is a Black Diamond representative. He has a passion for the backcountry of Hokkaido. Tim leads our advanced groups. Trevor is our Tour Manager, and will also be guiding some tours this season. 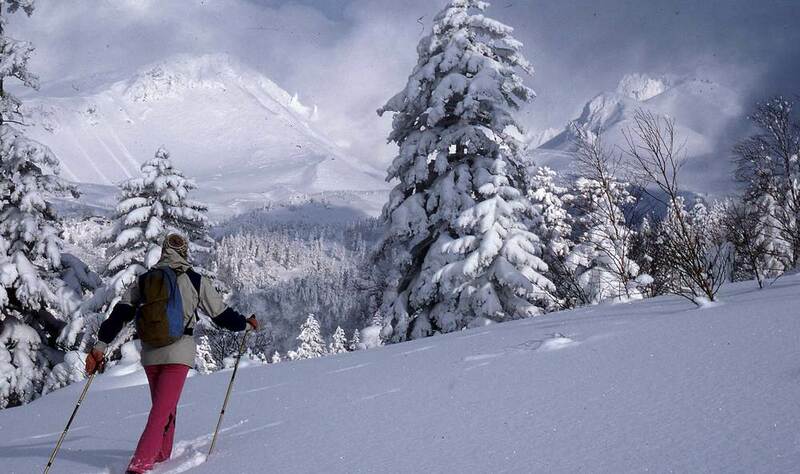 Trevor has been backcountry skiing since 1981 and is a dedicated telemark skier. He is also a qualified telemark instructor and has been skiing the Hokkaido backcountry for 10 years. Trevor is passionate about snow and skiing, and loves introducing others to the delights of the backcountry. Sam is from Byron Bay, Australia. He loves to ski, and has been coming to Japan since he was 11. Skiing for Sam is all about the snow - quality and quantity - and so central Hokkaido has some of his favourite locations in the world. Sam will be assisting on our guided trips, and working at our rental shop in Furano. When he’s not skiing, Sam will probably be you-tubing skiing, thinking about how many days to the season or reading through gear reviews. Roman is passionate skier and outdoor guide. Originally from Far East Russia, he has spent the past 10 years living and working in Japan. Now living in Furano, Roman spends his summers guiding whitewater rafting trips in the beautiful rivers of Central Hokkaido and winters in the amazing backcountry powder. He has worked at various resorts in Japan and is an experienced ski patroller.